Yesterday was Arianna's first day back at school. 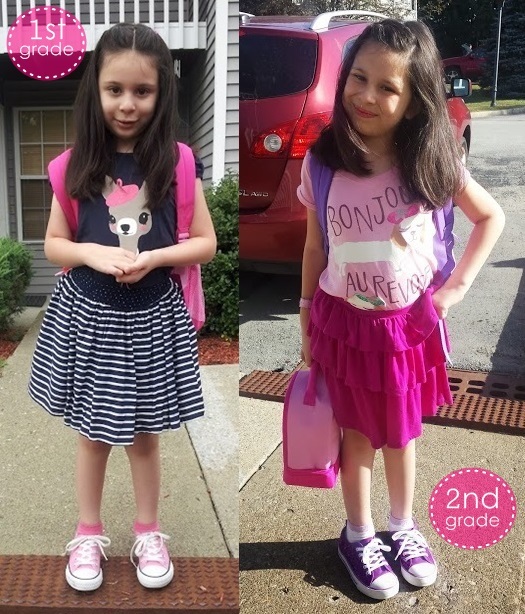 It feels just like yesterday she started Pre-K, and now she's officially a 2nd grader!! She came home raving about her new teacher and how she couldn't wait to go back to her class which makes me so happy because it's a far cry from her first school experience. I'm thrilled that my baby girl is growing up. It looks like it's going to be great school year! How was your kids first day back? What a cutie! First days can be scary. Glad she was a champ.